The majestic comet West visible in March 1976 on the morning sky was for the period of twenty years (1976 - 1996) the only bright comet visible from the northern hemisphere. Therefore it is very interesting that nearly on the same place in the sky there were visible two bright comets within a one-year period. Image composing techniques make possible to create a realistic view showing both comets at the same time. 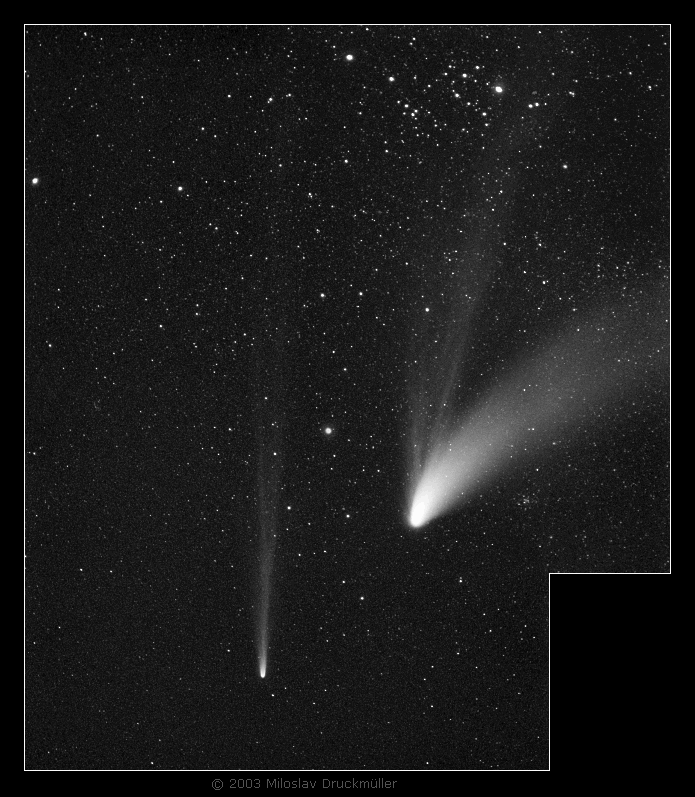 The comparison of the comet Hyakutake (left) and Hale - Bopp (right) is very interesting. The star cluster which is visible on the right from Hale - Bopp comet is the open cluster M 34 in Perseus. This image has an interesting successor.